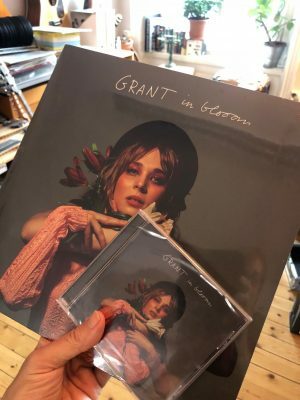 GRANT: “Changed My Mind” single and video clip out now! Tonight Tove Styrke and GRANT premieres their Sweden tour in Karlstad. To celebrate this we recorded a GRANT:ified version of Tove’s song “Changed My Mind”. Produced by yours truly. Check out the video clip too, it’s great! ? “In Bloom” vinyl and CD out now! Eagle Eye Cherry’s new album out now! Very proud to be involved in Eagle Eye Cherry’s comeback album “Streets Of You”, out now! I’ve co-written 6 songs with EE and produced 10 of the tracks. Pic by Janne Hansson, taken during the Atlantis sessions. 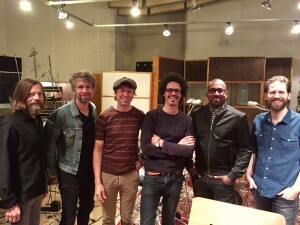 The band, left to right: Jerker Odelholm, Rickard Nilsson, moi, EE, Earl Harvin and Anders Pettersson. Albin Lee Meldau and “My Favourite Lie” in Så Mycket Bättre! Last Saturday Albin Lee Meldau made a Swedish rendition of Louise Hoffsten’s and my song “My Favourite Lie” in Så Mycket Bättre, TV4’s popular prime time show. It’s out on Spotify and all digital platforms. Check it out, it’s great!